slow and wordy. it's a book for those seeking a better understanding of themselves, but not really for people who have accepted that life can be (kindly put) less than optimal. I would have loved this book as a teenager, but it's a bit "victim mentality" for me today as a 36 yo woman. Very good , I related to most experiences and it almost felt like the Author was having a conversation with me . 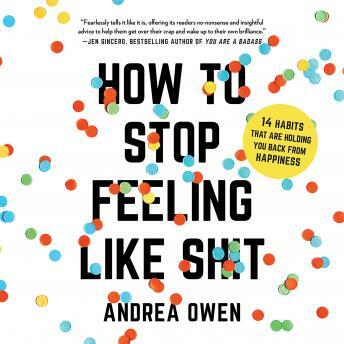 It's so far the best self improvement book I've read. The author narrates it in a simple, fun, yet very impacting way. Easy to listen to a book. Very interesting facts. great tips how to deal with difficult situations.